Admission in Jawahar Navodaya Vidyalaya is made on the basis of a Selection Test, designed and conducted by the CBSE. 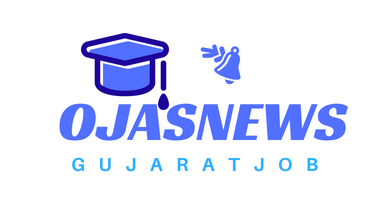 The test is called the Jawahar Navodaya Vidyalaya Selection Test (JNVST). It is of non-verbal nature, class-neutral and designed so as to ensure that talented children from rural areas are able to compete without facing any disadvantage. Special care is taken to ensure that children from far-flung areas get admission forms free of cost, without any difficulty. Sufficient publicity is done through Doordarshan, All India Radio, local newspapers, pamphlets, Vidyalaya websites and through visits of Principals and teachers of Navodaya Vidyalayas to the local schools of the district. Only candidates from the district where the Jawahar Navodaya Vidyalaya has been opened are eligible to apply for admission. However, in the district where the JNV is opened and is bifurcated at a later date, the old boundaries of the district are considered for the purpose of eligibility for admission in the JNVs. This applies to cases where new Vidyalaya has not yet been started in the newly bifurcated district. A candidate claiming admission from rural quota must have studied and passed Classes- III, IV and V from a Govt./Govt. Aided/ recognized school spending one full academic session each year in a school located in a rural area. A candidate who has not been promoted and admitted to Class-V before 30th September is not eligible to apply.